There is more than one lesson to learn from this story. I think the most important is about ‘handling’ success. It is probably the most important, yet most overlooked secret to success. The general with huge balls probably didn’t know about this because it is not a part of the curriculum at any university or military academy. Good point, Pat. As this whole thing unfolded, I kept thinking about Randy Smith, longtime metro editor at The Star, who now is a business journalism professor at MU. The metro editor’s job is probably the hottest seat in the newsroom because of the tide of problems and issues that roll unceasingly toward it. I always marveled at how Randy, who was in the post more than 10 years, managed to maintain his equanimity and step through the land mines. The main reason he held sway for so long is that he was extremely careful. 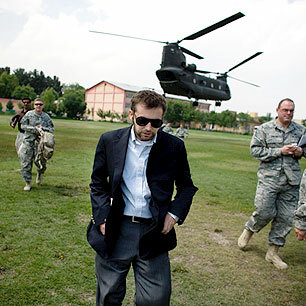 When I asked myself what Randy would have done, had he been in McChrystal’s shoes, I knew the answer: He would have graciously welcomed Michael Hastings for a two-hour interview — no holds barred — and then would have sent him on his way. Remember the admonition: “Keep your friends close, and your enemies closer.” After the two hours how do you think an enterprising reporter would spend his time for the next four weeks? Who would he talk with? What would he hear? I don’t hear any comment on the admitted fact that the General and his staff simply did not act like either officers, nor persons who were in charge. The officers involved have all simply left the scene without challenging the story or its follow-up. I would have liked General McChrystal to have been the person, the leader, the professional we thought he was. Better to have found out earlier than later, that we had a dud in the barrel.